The Youth Job Readiness training program provides youth and young adults ages 16-21 with critical pre-employment skills and college exploration opportunities. 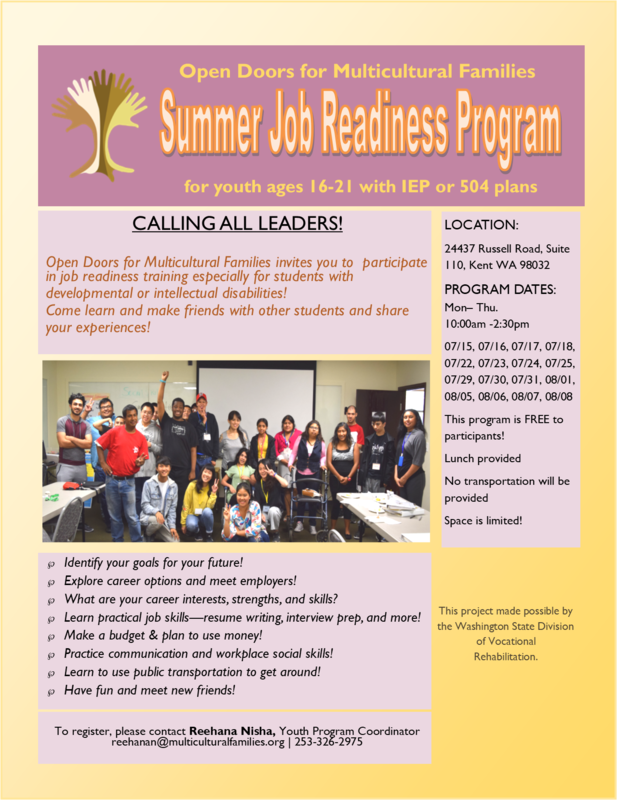 Participants meet during the summer on weekdays for 4 weeks in this intensive program, and learn practical skills such as résumé building and budgeting, practice mock interviews, and learn about on-the-job etiquette and how to ask for accommodations for their unique needs. Participants also take hands-on field trips once per week to job sites or to visit local college programs. The program finishes with a graduation ceremony where participants’ families are invited to come celebrate with their youth, and hear about what they’ve accomplished during the program!